Giving consumers convenience through the advent of digital payments, CloudFone and Android Zone have linked with Globe Telecom to allow smartphone and device purchase in the said outlets through GCash. 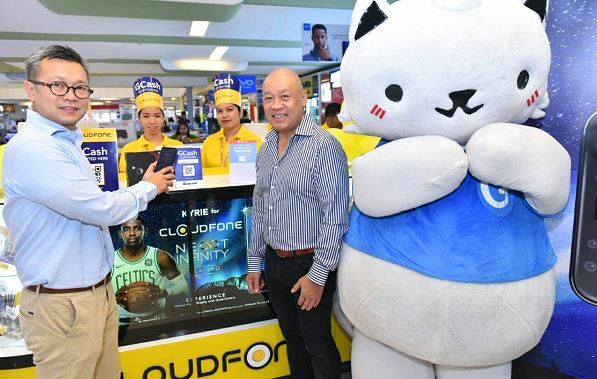 Using GCash cards or through the GCash Scan-to-Pay mobile payment method, consumers can now buy CloudFone smartphones and accessories from its kiosks and partner merchants. This can also be done in Android Zone, which hosts the top smartphone models in its stores nationwide, including Xiaomi products. According to Eric Yu, President and CEO of Cloudfone and Android Zone, this partnership with GCash is in line with the company's vision of providing quality, locally-made smartphones to Filipinos. “Cloudfone’s proactive collaboration with trustworthy companies like Mynt, the operator of GCash is a clear testament of our commitment to improve our customers’ experience. GCash Scan-to-Pay technology will now be available in all Cloudfone and Android Zone stores in the country. This will improve how payments are made in our stores and we are very excited for this partnership,” Yu said. To use the GCash Scan-to-Pay feature, users have to download the GCash App from the App Store or the Google Play Store, and scan the QR code presented in counters for payment. Users can cash-in or reload money in all GCash kiosks and digital payment booths nationwide, including Globe stores, SM Business Centers, and 7-Eleven shops.